From Singapore to Key West, Manhattan to the Caribbean, crowds of all ages and nationalities have seen this Tampa Steel Drummer performs solo and in bands. Everyone loves the exotic, romantic ring and echo of the Caribbean steel drum. With a true artist like John tapping the mallets, the pans take on a new life of melodies and styles. 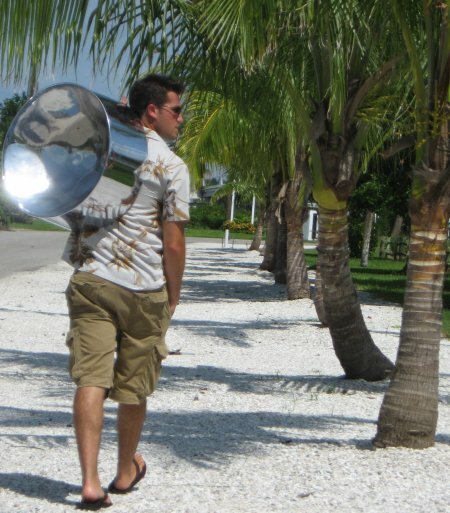 The steel drum can be soothing or rapid-fire, laid-back or vibrant, and can inspire both dreams and dances. This Tampa Steel Drummer blends genres and rhythms into music you might never expect to hear from a single instrument. He has been called onstage to accompany country star Jerry Jeff Walker. He has been cheered by throngs at the New Orleans Jazz Festival, and recognized as a true talent by veteran Jimmy Buffett band member (and Trinidad steel pan icon) Robert Greenidge. 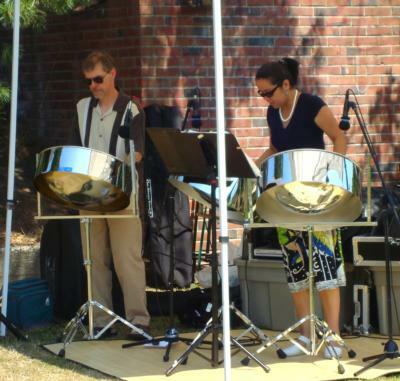 Whether you’re looking for happy hour music, or music for your next big function, the sound of the steel drums will most certainly set your event apart from the rest. This Tampa Steel Drummer has combined the unique island sound of the steel drums with the western music including many jazz standards and radio hits of the past decades to create a truly remarkable sound in the "island jazz" genre. He released his first solo album in July of 2006 which blends the warm sounds of the islands with the cool sound of jazz to find a great “island jazz” sound. This Tampa Steel Drummer travels the country performing with various national acts in the "Trop Rock" genre. His sound has taken him up and down the East Coast, around the Florida Keys and out to Las Vegas and points out west. He has also traveled the world performing on five star luxury cruise liners, entertaining crowds of all ages. This Tampa Steel Drummer has shared stages with various recording artists over the years, including innovator and guitar legend LES PAUL, Grammy nominated Nadirah Shakoor, CMA finalist for "instrumentalist of the year" Doyle Grisham, Nashville based Michael Utley and world renowned pianist Robert Greenidge.